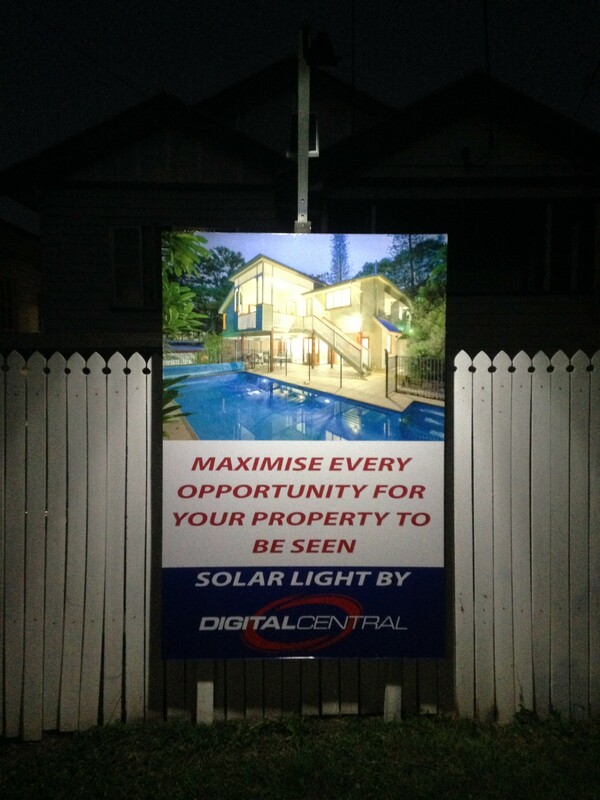 Digital Centrals innovative Solar Lights are the perfect way to promote your property at night. Powered by Solar, they require no leads and can be placed on any large sign. Lighting up automatically and turning off automatically, this is truly the hassle free option to promote your property at night time. Solar Lights can be ordered when you are ordering your signboard via the Digital Central website. If you need more information please contact us.